I was at Tsukiji Market with a chef friend helping her track down aonori. She was on a mission. She didn’t want to leave Japan without some. There are several shops in the outer market of Tsukiji and we visited about five of them before we found exactly what she was looking for. 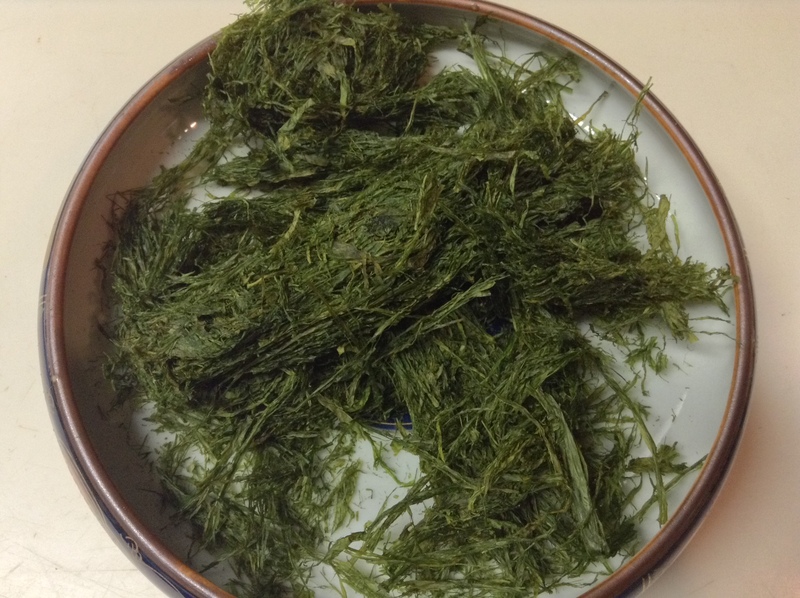 Aonori is a type of sea vegetable that is deep, emerald green and very aromatic. We came across flakes and a powder-like type, often sprinkled on takoyaki or okonomiyaki, but that wasn’t what she wanted. 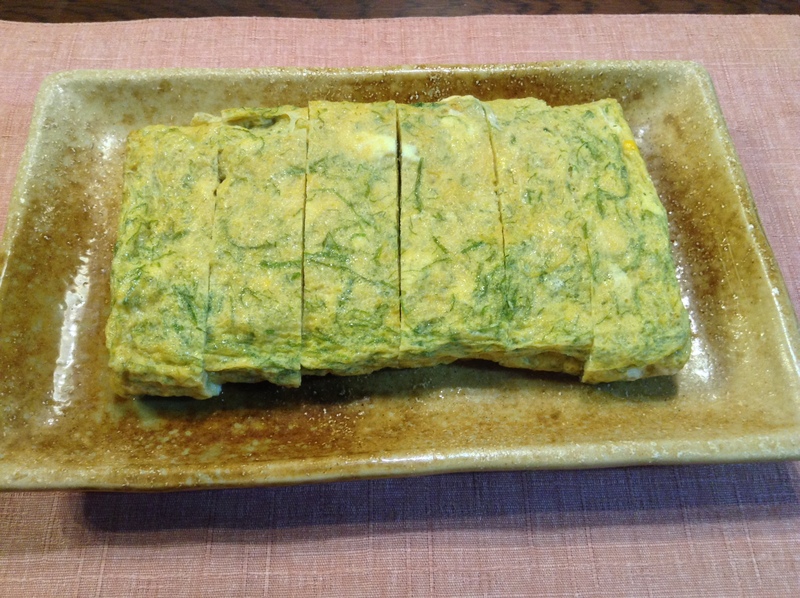 The shopkeeper told us that that a famous tamagoyaki shop in the outer market, Shōrō, uses the aonori in their savory omelet. Here is my version using the aonori. It adds a whole new dimension to the dish. 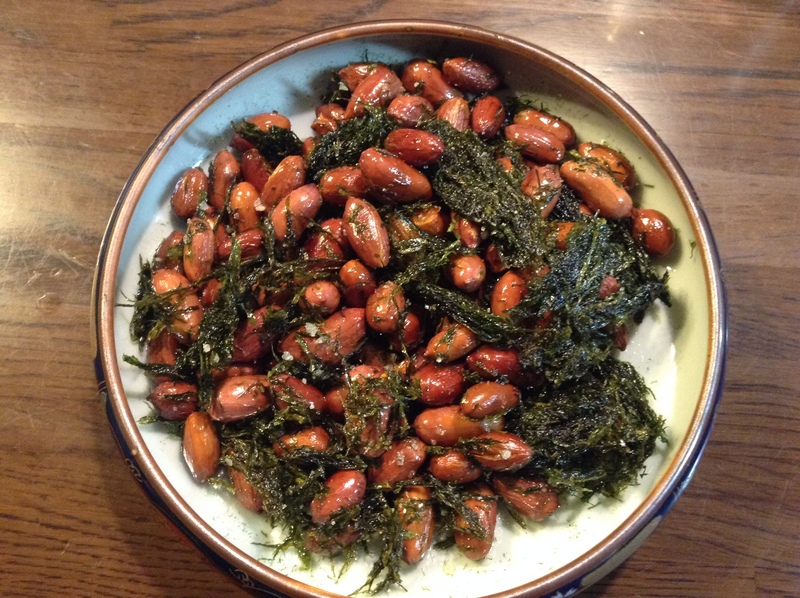 She said that she wanted to bring it home to make a Chinese-style dish where the aonori is served with deep-fried peanuts. The peanut and aonori dish is addictive. It is made from raw peanuts. And, it goes very well with sake. 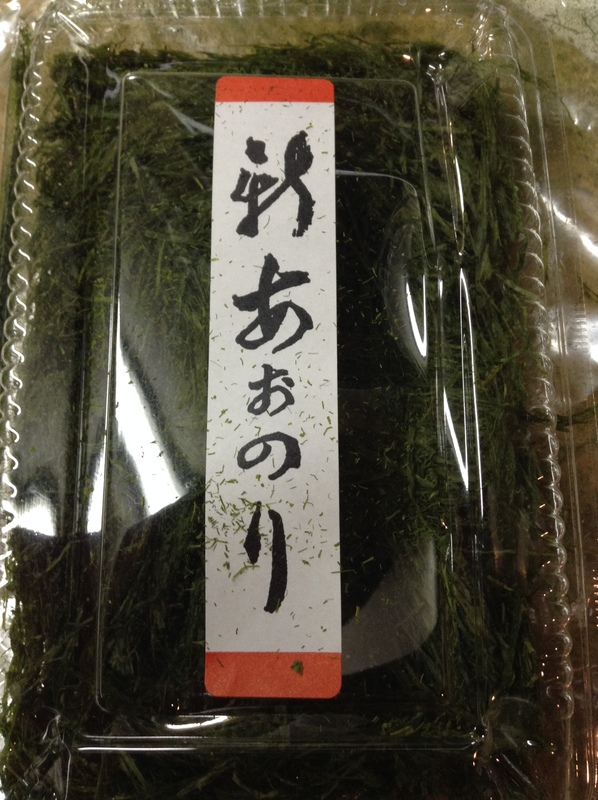 Here is the package of aonori from Tsukiji Market. This aonori grows in the water just where the fresh water from the river flows into the ocean. It’s rich in aroma, vegetal, and excellent when fried up a bit and added to the peanuts. Definitely worth picking up if you are visiting Japan.